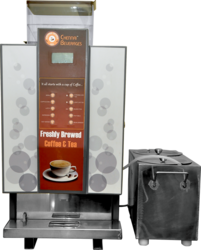 Our range of products include bean to cup coffee machine, bean to coffee vending machine, bean coffee vending machine, fresh milk bean to coffee vending machine, fresh milk bean 2 coffee vending machine and bean 2 cup coffee vending machines. Special Facility - Touch Screen Feature is Available. 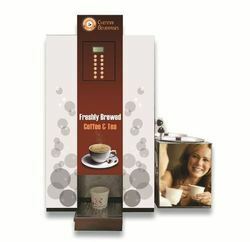 We are a prominent dealer and distributor of extensive range of Bean To Coffee Vending Machines. These machines are developed under the supervision of our experienced vendors, following all the quality guidelines set by the industry. These are manufactured by our vendors using best quality raw-material, our offered machines are widely demanded owing to its design and compact in sizes and supreme performing ability by our clients. 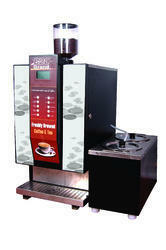 We are a prominent dealer and distributor of extensive range of Bean 2 Coffee Vending Machines. These machines are developed under the supervision of our experienced vendors, following all the quality guidelines set by the industry. These are manufactured by our vendors using best quality raw-material, our offered machines are widely demanded owing to its design and compact in sizes and supreme performing ability by our clients. Being a customer focused organization, we are engaged in offering a wide range of Fresh Milk Bean To Coffee Vending Machines. Being an quality conscious organization, we offer this range using optimum-grade raw-material and ultra-modern manufacturing technologies. We are counted among the leading suppliers and dealers of a wide array of Fresh Milk Bean 2 Vending Machines. 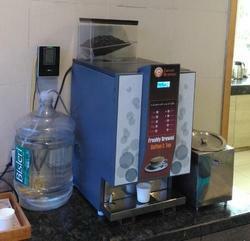 This machine provides quick and rich aromatic coffee at the touch of the button. It is the only modern system in the Indian market that uses liquid coffee decoration and is made of stainless steel and food grade plastic to eliminate rusting and any need for replacement. 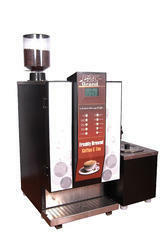 We have bring forth to our clients an extensive range of Bean 2 Cup Coffee Vending Machines. Our vendors design and manufacturer the entire gamut using qualitative raw-material procured from the authorized vendors of the market. Adhering all the international quality parameters, all the products are stringently examined at our quality testing unit to ensure the excellent performance. Looking for Bean to Coffee Vending Machine ?